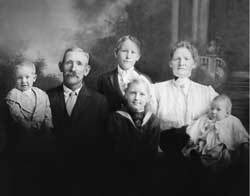 The Anderson Farms story begins in 1911 when Swedish emigrants August and Josephine Anderson purchased a farm south of Mead, Colorado. They lived there with their four children, Albert, Mildred, Edwin and Laurine. August and Josephine died when the children were young, so Albert and Edwin took over the farm. Over the years they grew corn, sugar beets, barley, alfalfa, wheat and in the 1930’s began raising cattle. Edwin married Louise Johnson, a Longmont farming native, in 1946. Her father, Emil Johnson, was also a Swedish emigrant. Emil and his wife Esther spent many years farming near Highway 287 and Lookout Road south of Longmont. In 1958, as Interstate 25 was being built, the government purchased some of the Anderson property for the highway project. The money Edwin and Albert received from this purchase was used to buy the current Anderson Farms property near Erie. Until 1996, the South Farm, as it is known, was a tenant farm. Other families, including the Walkers and Rasmussens lived and worked on the farm. Edwin and Louise had three children Barbara, Jody and Jim. Barbara and her husband Randy, three children and four grandchildren now live in Las Vegas, Nevada. Jody lives on the farm near Mead. Jim and his wife, Brenda live near the South Farm. They have two daughters Rachelle, who is actively involved with the farm and Megan who works as a physical therapist out of state. The Anderson family has been a family of innovators and conservationists for generations. August began conservation practices in 1912 by building irrigation pipeline. Edwin and his son Jim were the 1989 Colorado winners of National Conservation Award sponsored by the National Endowment for Soil and Water Conservation for continuing to use conservation practices. Edwin was also named 1988 Outstanding Conservationist by the Colorado Association of Soil Conservation Districts. Jim was personally honored for his conservation work as well. In 1987, he was named the Jaycee’s National Outstanding Young Farmer. This selection was based on progress in agricultural techniques, soil and water conservation and community involvement. The National Cattlemen’s Association honored Jim in 1993 as the Cattle Businessman of the Year and in 1999 the recipient of the National Environmental Stewardship Award. In the spring of 2014, Anderson Farms was chosen as the Longmont Conservation District Conservationist of the year and was also chosen as the Upper South Platte Watershed Conservationist of the Year-Farmer Division. In 1997, Jim decided to start a small pumpkin patch at the South Farm. 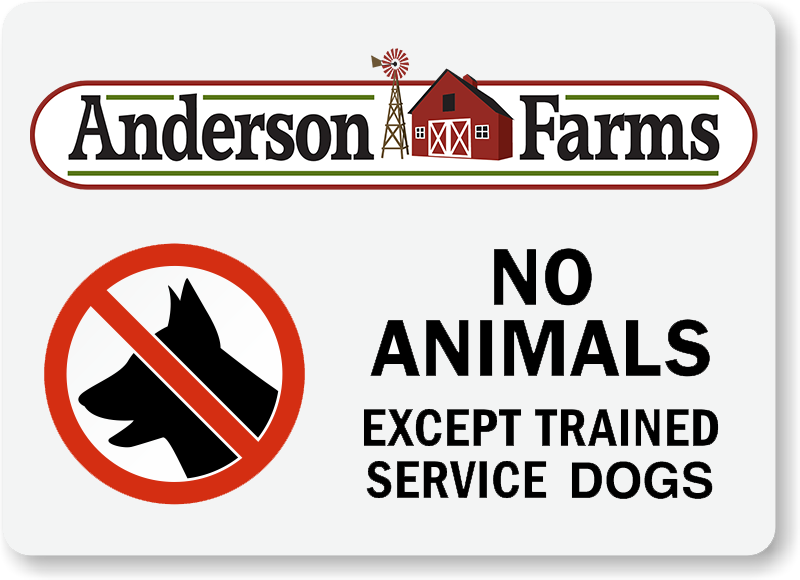 In the first few years, Anderson Farms only offered hayrides to the pumpkin patch, and a few farm animals. In 1999, Colorado’s first corn maze was added. 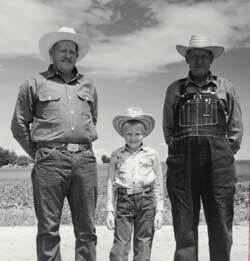 The year 2000 brought the Anderson Family the honor of Successful Farming Magazine’s Farm Family of the Year. Terror in the Corn made its debut in 2001. 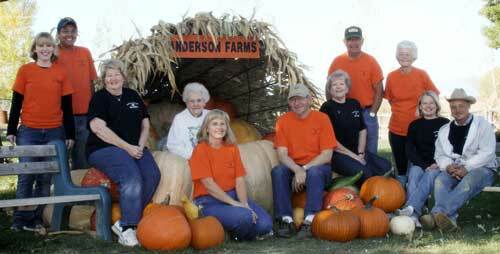 Many members of the extended Anderson family were already working each Fall Festival season, but in 2002, Jim’s cousin Peggy Shupe joined the operation. She worked very hard to grow the business and in 2006 decided to move on to new ventures. In 2007, Jim’s daughter and son in law, joined the business full time. His daughter Rachelle continues her role as Operations Manager today. Other family members you may see around the farm include Jody and Barbara, Megan, her husband Aaron, Brenda’s parents, Phyllis and Alden Elshof and many others. The matriarch of the family, Louise Anderson, passed away May 4, 2017. In 2016, the corn maze design included a special birthday message recognizing Louise’s 100th birthday on November 4th of that year.